Over recent decades, philanthropic foundations have grown in numbers, scale and policy relevance. Yet their roles and contributions in the context of national and international politics and policies remain unclear, particular in view of the profound challenges G20 countries face in terms of social cohesion, governance, and the need for policy innovations. Drawing from the growing literature on philanthropy and recent research projects by the authors, we identify key roles for foundations, make a case for transparent, pro-active management style, and, in terms of an overall regulatory framework, propose policy recommendations towards enabling environments for philanthropy. 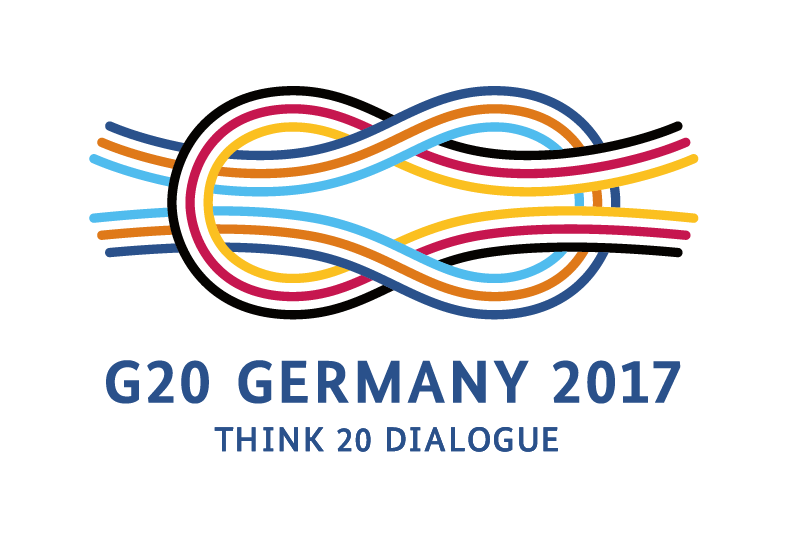 Many G20 countries are confronted with a common set of challenges that range from climate change to cultural diversity, and from welfare and education needs to technological and communications developments. Even though the nature and salience of these challenges varies, they put pressure on government´s capacity to devise innovative solutions, to implement policies across diverse populations, and to monitor performance. Next to the state and the market, philanthropic foundations, understood as independent, private endowments dedicated to serving a public purpose, are a third institution with a capacity to respond to these challenges. They are among the freest institutions of modern society. Neither beholden to market expectations nor to the ballot box, they can address complex, controversial, even unpopular issues, and seek solutions where government and business are likely to falter, let alone risk taking them on in the first instance. Foundations can take the longer view and operate without regards to shorter term expectations of market returns or political support. They achieve this dual independence through a particular principal-agent construction that is, as Anheier and Leat (2018) note, also the source of their relative weakness in receiving signals and in establishing incentives, both internally as well as externally, to guide their behavior. Put simply: there is no dominant stakeholder demanding goal fulfillment. The combination of independence and behavioral weakness is key to understanding why many foundation projects, especially those addressing complex problems, achieve ambiguous results. By this we mean projects or programs with neither clear success nor failure records. Instead, they involve a significant degree of satisficing, a pattern Anheier and Leat (2018) labelled the benign fallibility syndrome, based on Seibel´s (1999) seminal diagnosis of similar phenomena among non-profit organizations generally. The dual independence also has given rise to certain role expectations for foundations over time (Anheier and Leat 2018; Hammack and Anheier 2013). One of the most potentially significant divisions is between those focusing on amelioration of problems (charity) and those concerned with their eradication based on an understanding of root causes (change). The former approach is generally welcomed by government as it lightens their load, while the latter can potentially challenge, even interfere with, existing policies, but may also lead to cooperation. How can philanthropic foundations realize their potential and the degrees of freedom they offer to society in seeking solutions, while at the same time, become more responsive to signals and incentives, both internal and external? How can foundations best manage expectations and negotiate sometimes difficult relationships with government? And how can government provide a policy and regulatory environment that enables foundations to achieve sustained impact? Growth in philanthropic foundations has accelerated globally in recent decades. For example, in both Germany and Spain, about seven in ten foundations have been created since the early 1990s. In the early 2000s, the US added about 10.000 new foundations and $9-10 billion in grant dollars every 5 years or so (Toepler 2017). Significant recent growth is also documented in Italy, the Netherlands, and Sweden as well as China and Russia (Anheier 2018a, b). With growth a common theme, there are nonetheless significant differences in scale. Sizable foundations still only number in the hundreds in Russia, but already in the thousands in China. In Europe, larger foundation fields range from 9.000 in Spain, to a combined over 35.000 in the four Scandinavian countries and 19.000 in Germany. The 87.000 US foundations held $865 billion in assets and distributed $60 billion in 2014. Estimates place German foundation spending at close to $16 billion. In the UK, the 300 largest grant-makers have about $3.7 billion in annual giving (see respective country-based articles in Anheier 2018a, b). Foundation assets and giving are highly concentrated in relatively few large foundations, whose assets run into the billions and can have annual budgets in the hundreds of millions. Foundation resources are nevertheless limited in scale when compared to the resources of government suggesting the need for a nuanced assessment of actual contributions to societal problem solving (Toepler 2017). A recent OECD (2018) study found both a high level of concentration of foundation resources in the field of international development assistance, and, when compared to the official flows, an overall modest volume. But in specific fields such public health, foundations are significant actors: for example, in 2016, the Bill and Melinda Gates Foundation allocated $1.2 billion to global health, compared to the WHO budget of $4.4 billion This allows foundations to exert some influence over the global public health agenda. More generally, given the recent rise of large philanthropies, observers like Callahan (2017) ask if philanthropic resources in selected fields might approach discretionary budget outlays of public bodies in future. Foundations’ resource independence makes them peculiarly vulnerable to the benign fallibility syndrome resulting from a combination of weak signals, incentive deficiencies and a governance structure in which trustees (the legal decision makers), managers, grants officers and grantees are involved in a complex, collusive relationship in which reports of ‘success’ are in everyone’s interest. The performance problem is exacerbated by foundations’ typically limited resources relative to the issues they seek to address, and the often over-simplified theories of change with which they work. In reality foundations may ‘succeed’ or ‘fail’ for reasons which have little to do with them, and success and failure may be defined according to one set of values or another, and judgments may change over time (see Anheier and Leat 2018, chapters 1 and 2). Of course, foundations operate in task environments of differing complexity and dynamism and choose to play different roles. Foundations in high uncertainty environments may be best organized with a minimum of bureaucracy and a premium on flexibility and innovation. Here managing uncertainty is key even though performance is most difficult to measure, and outcomes most uncertain. By contrast, foundations working in low uncertainty environments are better organized as relatively bureaucratic organizations with a clear focus; a bureaucratic style enhances the efficiency of operations by minimizing transaction and operating costs, and focus maintains goal directedness. Foundations aiming for steady state service provision come into this category. Here the benign fallibility syndrome may be less pronounced but also easier to detect: standard performance measures and reporting may suffice, provided board and management discharge their governance functions. In between are foundations that operate under moderately high uncertainty. They have the challenge of finding a balance between bureaucracy for efficiency’s sake, i.e., keeping operational and grant-making costs low, and flexibility for being able to cope with changing conditions. Accepting the inconvenient truth that the foundation cannot control everything. For example, Robert Wood Johnson Foundation accepted that addressing teen tobacco use was very risky and involved taking on powerful lobbies it certainly could not control but it was also aware that its independence enabled it to take this risk. It capitalized on its independence and addressed its weaknesses by thorough research, adapting and adopting multiple approaches, and collaborating with others. Avoiding simplistic causal models trying to control individual behavior and instead seek to shape the context for that behavior. Unlike government, foundations do not have the legitimacy or the tools to control individual behavior but they may have the resources and the voice to advocate for changes in contexts. For example, in its work promoting charter schools, the Walton Family Foundation in the US learned that transposing its model for school reform onto communities was too simplistic to result in meaningful change and adjusted its strategy accordingly. Adapting to ambidexterity and building in redundancy (i.e. applying different and potentially conflicting approaches to strategy). Foundations’ independence means that their strengths include the capacity to take the long view, to back several horses simultaneously and to be ‘inconsistent’ in ways governments typically find difficult. This may also be where their disjointed governance structure becomes an advantage. Investing in political and economic intelligence, remembering that a macro event can have a greater impact than a micro or internal event. For example, Pew Charitable Trusts seized the opportunity of an administration that was open to climate change legislation to gain bi-partisan support for a bill that made it to the floor of the House of Representatives. Expecting the unexpected and reducing uncertainty, collecting signals, imagining ‘what if?’ and taking precautionary action. For example, Robert Wood Johnson Foundation and Pew Charitable Trusts worked on a range of concurrent projects; and, rather differently, Walton changed its approach when things became politically contentious. Being prepared to seize opportunities – for example, Germany´s Kuenheim Foundation in trying to revive an old glass factory clearly illustrates the way in which foundations’ independence and relative lack of accountability provide the space for flexibility and opportunism. Paying attention to diversity, being constantly attentive not merely to similarities but also to differences between projects, places, people and over time. Arguably, in its neighborhood building work the Hewlett Foundation failed to do this and the program suffered as a result. Creating feedback loops and adaptive mechanisms, reducing the danger and damage of weak signals by deliberately building and nurturing good feedback channels and adaptive capacity. Fondazione Cariplo’s work on social housing, for example, was specifically designed to explore, experiment and adapt. Fostering trust and reciprocity, from a financially independent and politically unaligned position on the margins of the corporate, government and non-profit sectors. The Kuenheim, Pew, King Baudouin Foundation, Joseph Rowntree Charitable Trust and RWJF cases, among others, all illustrate the value of trust and the capacity to build reciprocity (for related analyses see, for example: Pawson et al. 2011; Patrizi et al. 2013). We stress these points above, and the need for a pro-active management approach overall, for two reasons: in the past, foundations, largely unaware of the benign fallibility syndrome, have for the most part ignored many lessons from management studies; second, those not ignoring them, have all too often fallen prey to simple applications of business management models ill-suited to their governance and purpose (see Harvey 2016; 2013; Schambra 2013). As Heydemann and Toepler (2006) and others have noted, foundation legitimacy in democratic settings is principally problematic, albeit rarely fundamentally questioned. As basically autocratic institutions, the core challenge for foundations is to balance a basic tension inherent in the foundation form between autonomy (that is preserving their independence) and the obligation to serve the public based on the tax privileges that they receive. One way to conceptualize foundation legitimacy is the distinction between input, output and throughput legitimacy (Scharpf 1998; Schmidt 2013). Input legitimacy refers to opportunities for participation and representation and the resulting responsiveness of institutions to citizens or constituency concerns. Output legitimacy is the ability of institutions to produce effective policy outcomes for citizens or constituents. Throughput legitimacy finally points to internal processes to address accountability, transparency and openness (Schmidt 2013). Input legitimacy is generally difficult to attain for privately-controlled foundations. Some scholars (Prewitt 2006; Hammack 2006) maintain that US foundations draw their legitimacy from and through the nonprofit sector. But this does not guarantee that foundation support fully taps the pluralism of issues and approaches represented by the sector. Accordingly, in the US, foundations have felt some pressure to diversify their boards in efforts to improve responsiveness and report on racial equality in their grantmaking. This becomes even more pronounced as an issue where foundations work through public institutions. Input and throughput legitimacy concerns intersect here at the accountability issue. A prominent example are the efforts of major American foundations to reform public school. To some, this has effectively led to a private takeover of education policy with ‘un-democratic’ outcomes, as voters have no say over the reform proposals of foundations (Ravitch 2010: 211). Accountability demands on foundations are therefore legitimate because the very large resources controlled by at least some foundations puts them in positions of power over their grantees (Frumkin 2006). At the global level, these debates crystallize forcefully in the Gates Foundation’s involvement in public health, which to many critics not only exerts a disproportionate influence over the WHO, but shifts the broader international development priorities (Levich 2015; Mitchell and Sparke 2016). Conversely, input legitimacy also underlies restrictions that hybrid and authoritarian regimes increasingly impose on foreign funding. Many of these regimes have followed Russia’s example of making the receipt of foreign funding almost prohibitive for domestic NGOs. Declared ‘undesirable organizations,’ the last remaining American foundations with offices in Russia were forced to close down permanently in 2015. In the face of growing political hostility in Hungary, the Soros foundations are closing their Budapest offices and moving operations to Vienna and Berlin (Reuters 2018). But these various forms of legitimacy may affect different types of foundations differently. Community foundations, at least in the US, tend to be more responsive and focused on throughput legitimacy issues of downward accountability and transparency, focusing attention to inclusiveness, diversity, and equity in decision making (Grønbjerg 2006). This difference derives from the need to keep raising resources from their respective communities, which sets them apart from privately-controlled and endowed foundations. Accordingly, Egyptian community foundations took on leadership roles during the uprisings in 2011, whereas private foundations maintained their pre-2011 agendas (Herrold 2018). The dual independence argument is therefore weakened in community foundations, shifting the core legitimacy form from input to throughput. As non-endowed fundraising foundations are fully subject to the marketplace of donations throughput rather than input legitimacy will dominate here as well. As such, this may better describe how the legitimacy question will play out in places like China and Russia, where endowments are still not the norm. For private endowed foundations by contrast, output legitimacy has the greater relevance. The strategic philanthropy approach and the shift to focus on measurable outcomes that has dominated the Western foundation discourse for about two decades now, is the perhaps most visible indication that foundations have become sensitized to output legitimacy concerns about generating effective solutions to public problems. As Heydemann and Toepler (2006: 21) hold, “the performance and effectiveness of foundations in pursuing their social roles and functions is a powerful determinant of foundation legitimacy.” But as we have seen above, the benign fallibility syndrome somewhat constrains the ability of foundations to perform and fulfill role expectations. Policy and regulatory environments have evolved over time, and even in most Western countries varied between restrictive (France or Japan until the 1990s) and supportive (most of Western Europe lately) as well as been active and inactive approaches, and with varied levels of politicization (US in the 1960s). Indeed, environments for foundations are changing in many G20 countries. In this respect, it is useful to offer policy models based on the key insight: more governmental control stifles philanthropic incentives and takes away advantages foundations offer; whereas the absence of regulations may enhance foundation weaknesses, and possibly, too, challenge public policy agendas. The first three models apply to liberal and coordinated markets economies, of which the first two are mostly about output legitimacy; the last two refer to hybrid and autocratic regimes and are based mostly on input legitimacy. The concessionary model is in-between. Minimal regulatory model of parallel worlds between foundations and governments, with ad hoc and specific cooperation, and an emphasis on fiscal compliance. State agencies play limited roles compared to the self-organization of the foundations in view of their performance. The US would be prime exemplar of this model. Arms-length regulatory model overseeing overall developments of the foundation sector, in additional to fiscal regulation. An independent public agency is entrusted with the task of monitoring and improving foundation performance. The UK or Australia are examples of this model. Concessionary regulatory model allocating more expansive oversight and regulatory capacity to state agencies. A combination of tax authorities, dedicated agencies and the courts regulate both the process of establishment and recognition of foundations as well as their performance. Germany prior to the 1990s reforms had elements of this model. General delegated authority model whereby state allocates “autonomous space” in general policy fields to foundations to fulfill public tasks but allowing for self-organization, with Russia as an example. As the historical case of imperial Germany shows, philanthropy and autocracy can not only co-exist but complement each other (Adam 2016). Specific delegated authority model whereby state allocates “limited autonomous space” in specific policy fields for specific tasks to specific foundations with limited self-organization. China is a case approximating this model. Foundations should invite public debate on what model fits the circumstances of a particular country best now and in the foreseeable future. This is an ambitious and courteous debate to initiative in countries based on the rule of law, human rights and freedom of association in place; and it is all the more so in countries where these are questioned, threatened or absent. However, many European foundations are operating and have no or limited grant-making programs. The lack of endowments large enough to grant some degree independence is a significant feature of the emerging foundation sectors in China and Russia, which generate resources through public fundraising or serve as pass-through for the annual contributions of their founders. The financials of US foundations are well documented on the basis of publicly available tax returns. There is little comparable information for other countries as public disclosure requirements do not apply to foundations. Moreover, many countries allow foundations to hold non-financial assets, such as privately-held companies, that defy easy valuation. France, for example, introduced the foundation form back into law in the late 1980s after the abolishment of medieval foundations during the Ancien Régime and the French Revolution. Spain created encouraging legal-fiscal frameworks with its first foundation law in 1994 followed by a second law in 2002. Germany introduced several legal improvements since the 1990s. Australia created tax benefits for its version of the American private foundation in 2001, following up with additional regulatory reforms since then. But, governmental interest in foundations has not been restricted to Western democracies either. China loosened its Regulations on Foundations in 2004 while Russia introduced a law on endowments in 2006 and another on trust funds most recently (see Toepler 2018b). Adam, T. (2016). Philanthropy, civil society, and the state in German history, 1815-1989. Rochester, NY: Camden House. Anheier, H. K. (Ed.). (2018a). Philanthropic Foundations in Comparative Perspectives: Assessments from Twelve Countries (American Behavioral Scientist, Special Issue I). Anheier, H. K. (Ed.). (2018b). Philanthropic Foundations in Comparative Perspectives: Assessments from Twelve Countries (American Behavioral Scientist, Special Issue II). Callahan, D. (2017). The Givers: Wealth, Power, and Philanthropy in a New Gilded Age. New York, NY: Knopf. Dowie, M. (2002). American Foundations: An Investigative History (Reprint edition). Cambridge, MA: The MIT Press. Frumkin, P. (2006). Accountability and legitimacy in American foundation philanthropy. In K. Prewitt, M. Dogan, S. Heydemann, & S. Toepler (Eds. ), Legitimacy of Philanthropic Foundations: United States and European Perspectives (pp. 99–122). New York, NY: Russell Sage Foundation. Gostin, L. O. (2014). Global Health Law. Cambridge, MA: Harvard University Press. Grønbjerg, K. A. (2006). Foundation legitimacy at the community level in the United States. In K. Prewitt, M. Dogan, S. Heydemann, & S. Toepler (Eds. ), Legitimacy of Philanthropic Foundations: United States and European Perspectives (pp. 150–174). New York; NY: Russell Sage Foundation. Hammack, D. C. (2006). American debates on the legitimacy of foundations. In K. Prewitt, M. Dogan, S. Heydemann, & S. Toepler (Eds. ), Legitimacy of Philanthropic Foundations: United States and European Perspectives (pp. 49–98). New York, NY: Russell Sage Foundation. Hammack, D. C., & Anheier, H. K. (2013). A Versatile American Institution: The Changing Ideals and Realities of Philanthropic Foundations. Washington, D.C.: Brookings Institution Press. Heydemann, S., & Toepler, S. (2006). Foundations and the challenge of legitimacy in comparative perspective. In K. Prewitt, M. Dogan, S. Heydemann, & S. Toepler (Eds. ), Legitimacy of Philanthropic Foundations: United States and European Perspectives (pp. 3–26). New York, NY: Russell Sage Foundation. Leat, D. (2016). Philanthropic foundations, public good and public policy. London: Palgrave Macmillan. Patrizi, P., Heid Thompson, E., Coffman, J., & Beer, T. (2013). Eyes Wide Open: Learning as Strategy Under Conditions of Complexity and Uncertainty. The Foundation Review, 5(3), 50–65. Ravitch, D. (2010). The Death and Life of the Great American School System: How Testing and Choice Are Undermining Education. New York, NY: Basic Books. Zunz, O. (2014). Philanthropy in America: A History - Updated Edition (Revised edition). Princeton, NJ: Princeton University Press.